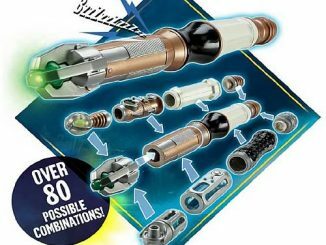 The Doctor Who Interactive Sonic and Laser Screwdriver Game is a totally different and updated way of playing tag. 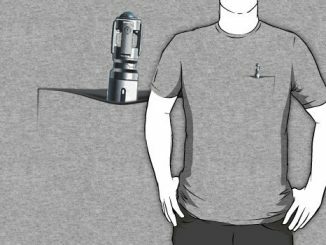 It eliminates the need to really run, because I think all you need to do is find a good hiding place or move with agility so that you can avoid getting hit by the other player. I prefer games where kids get moving a lot (because where else are they going to be getting their exercise? 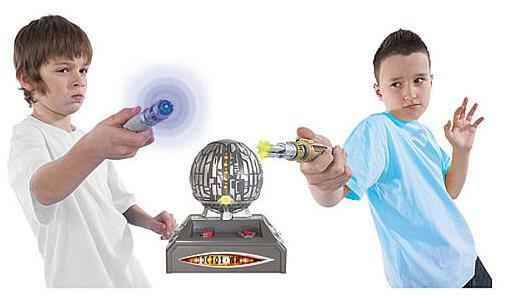 ), but I’ll take this over other handheld video games any day. 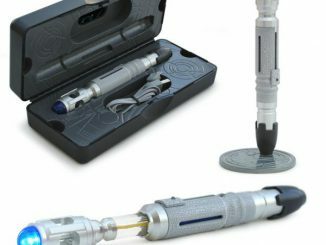 The Doctor Who Interactive Sonic and Laser Screwdriver Game comes with two screwdrivers and is obviously meant for just two players. 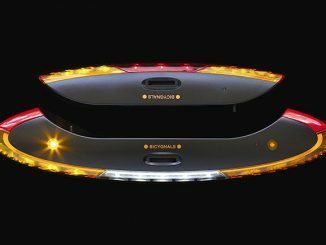 And while we’re on the subject of games, try checking out the Mindflex Duel, too. 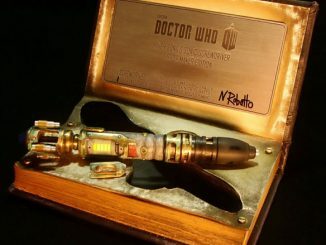 Battle to see who’s the better Doctor! 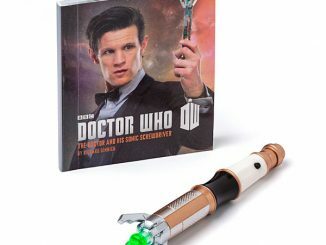 Must have for any Doctor Who fan! 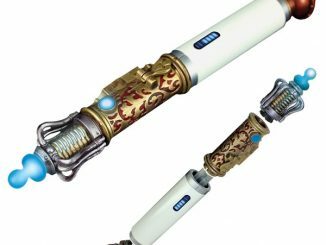 Choose from the Doctor’s Sonic or the Master’s Laser interactive screwdrivers. 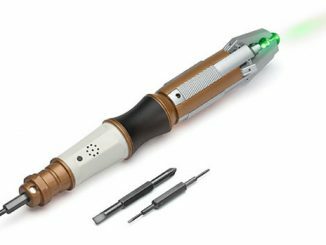 When switched on, each screwdriver starts at full power (5 LED power indicator lights). 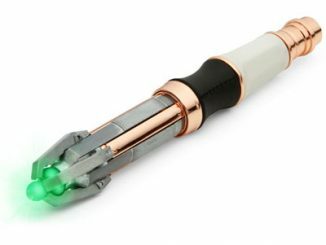 Whenever a hit is scored a hit sound effect is played and one power LED goes out. 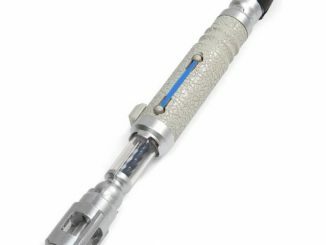 When the last light goes out on your screwdriver the other player has won. 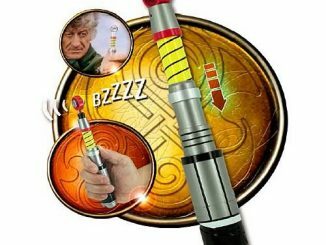 Use the Toclafane sphere for target practice with either one of the Screwdrivers and hone your skill while firing on the move. 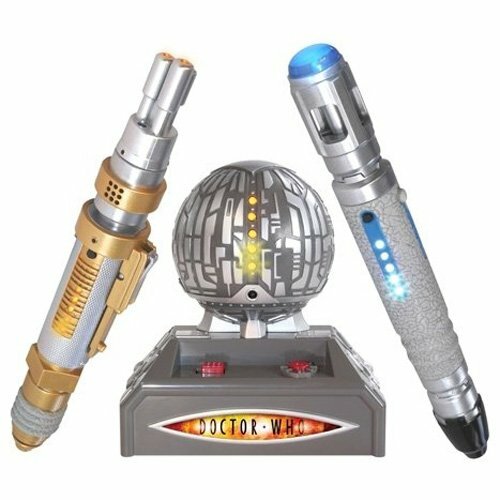 The Doctor Who Interactive Sonic and Laser Screwdriver Game is available from Entertainment Earth for $64.99.